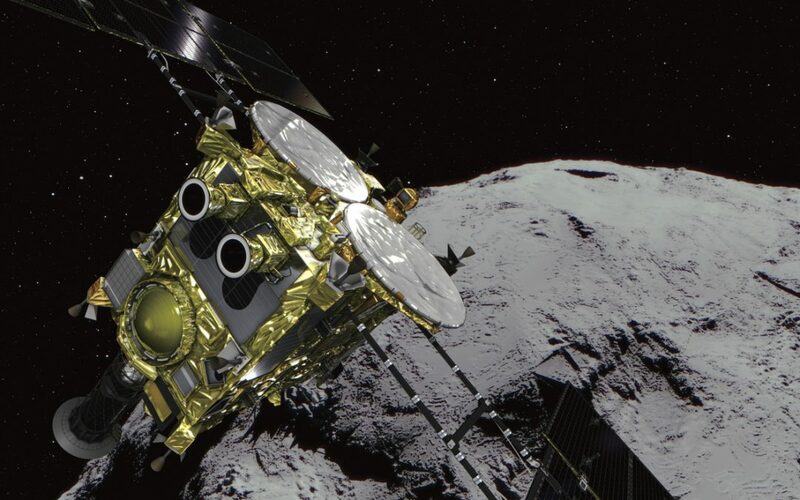 Japan’s spacecraft Hayabusa 2 first tried with a bullet and now has dropped an explosive into an asteroid 180 million miles from Earth. We are always up to something. In this case the idea is to break up the surface of the asteroid so fragments can be collected and brought back to Earth for analysis, in hopes of gaining a better understanding of the history of the solar system, since asteroids are material left over from its formation. This puts a really different spin on history in the way we normally think of it — dates of battles and other things the male population engaged in. History is often used for argumentation as far as I can see, so I can’t help appreciating the longer view that this kind of approach is attempting to take. I imagine there will also be arguments in the scientific community over what is posited about the history of the solar system following JAXA’s venture. And I’ll be fascinated by what conclusions are drawn. But from the mystical point of view, I like to enjoy the feeling of tremendous awe that suffuses a person when thinking about this kind of history — a feeling that joins a person to everyone and everything else, and is ultimately empowering thereby.